Save money and say, "I did it myself." 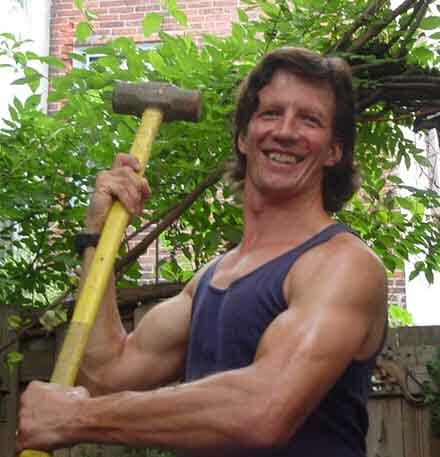 Knowledgeable and patient teacher and craftsman Paul teaches you how to handle practical repairs and improvements. These hands-on workshops will give you the step-by-step instructions you need, and the vocabulary that goes with it. Group AND private one-on-one classes are available. Three Saturdays, June 15, 22, and 29, 2019. Class location in Wyndmoor, PA. Through the Mt. Airy Learning Tree (MALT). 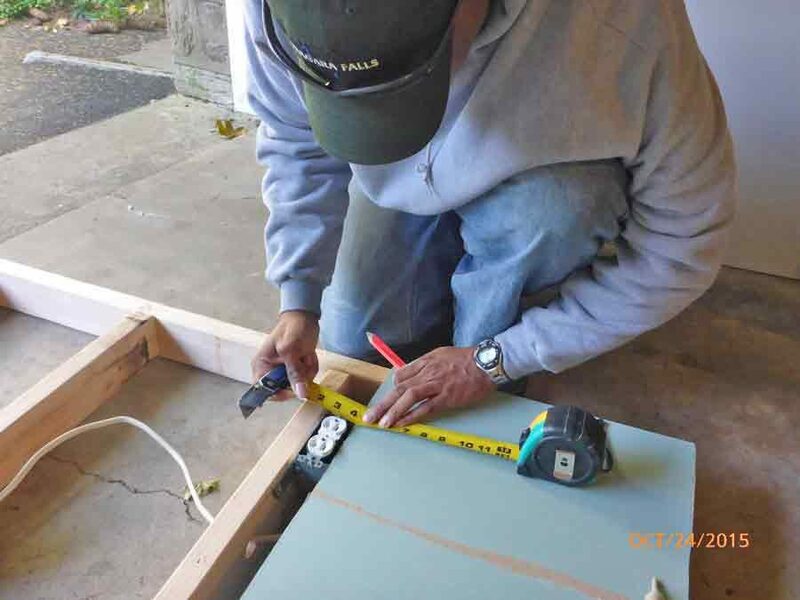 Students gain a basic understanding of carpentry, electrical, and plumbing systems of the average house. Paul will discuss topics and terminology that relate to old and new residential construction. Each week there will be lecture plus a class project where students will use hand and power tools. The project will start with building a small wall. Students will learn how to measure, cut, layout, and join wooden studs. In the electrical class students will install an electrical circuit through the studs and a receptacle, wall switch, and light fixture. The final class project covers learning to finish the wall with drywall, tape, and joint compound/spackle. The key aspect of the class is that students have a start in making their own home repairs or improve their current skills. Students will also be able to make knowledgeable decisions when it is time to hire a contractor. Save a bundle. Simple, clear, hands-on, one day workshop. The most common reason for high water bills is a malfunctioning toilet. 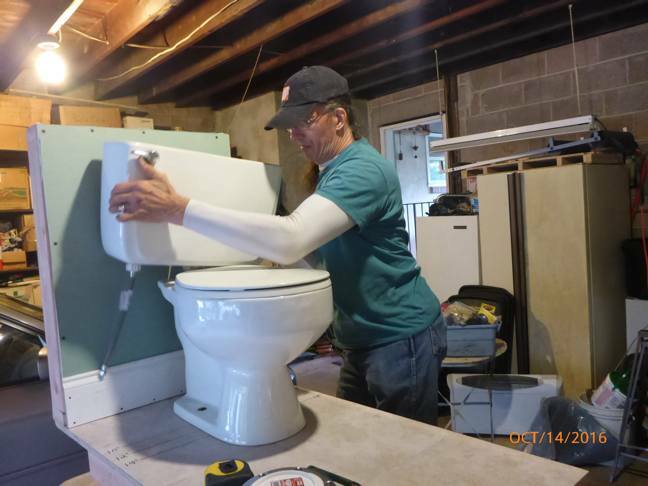 Hands-on class to learn to diagnose problems, make repairs, and if necessary, replace your toilet. Fix a toilet that runs continuously or intermittently, will not flush, is clogged or has other problems. Learn how a toilet works, its parts, terminology and tools you will need, how to remove your old toilet and install a new one. Work on a (clean) working model on wheels. 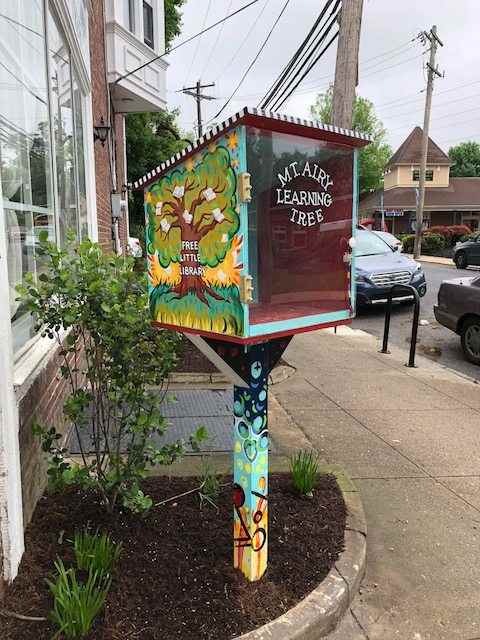 Class location in Wyndmoor, PA.
A Little Free Library is a fun little weather-proof cabinet you can put outside (or anywhere you want to share books). Anyone can “take a book, return a book” at any time day or night, in an ongoing free book share. This one-day class gives you do-it-yourself skills to have for a lifetime, while you build your own worthy community project that helps many on an ongoing basis. Encouraging, patient, teaching environment with a skilled teacher. When you arrive for class, we have materials for each student ready and pre-cut, so you can begin right away with tool-safety and hands-on building. Come alone or with friends. Take home your own work same day. Then, on your own, or by arrangement with Paul, paint and install in a variety of ways that suits your needs and landscape. Decorate and personalize in your own creative way. Add solar lights, a place for dog treats, holiday toy exchange, include a reading bench, have a Little Free Pantry for food with dignity for the disadvantaged. Many creative healthy ideas. 27 April 2019 - FULL. This class is through the Main Line Night School. Here is a fun GIF movie of buying lumber and supplies, cutting, assembling, caulking, sanding, making and painting door pulls. For your classes, we purchase, measure, and pre-cut all your library materials so you can begin building right away. 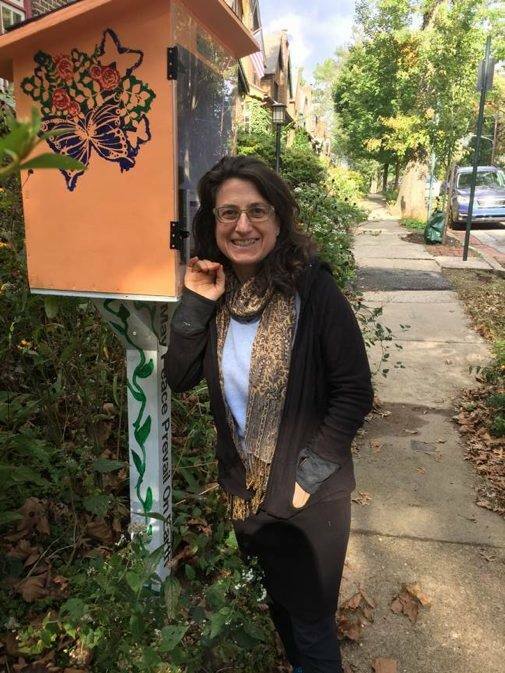 Thank you Rachel for asking the Mt Airy Learning Tree (MALT) to run this class. Note - The door is clear Plexiglas, hinged, with a magnetic closure. We leave the brown protective wrapper covering the door until installation and painting are finished. More about the class and more class photos on the Class Syllabus page. Learn how to get a great contractor! Protect yourself against loss of money, incomplete work and poor workmanship. Learn how to do a background investigation of a contractor, the Pennsylvania laws written to protect the consumer, what a home or business owner must do to protect themselves, and what you should expect from a reputable contractor. 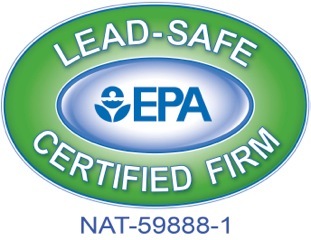 Clean, Earth Friendly, Renovations and Products. Contact Paul if you want to offer this great class at your location. 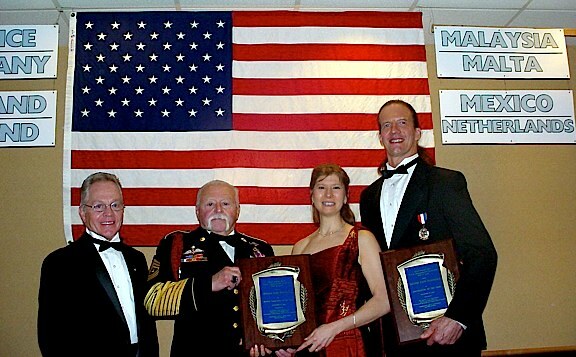 Not only is Paul a LICENSED GENERAL CONTRACTOR, EPA lead certified, and degreed in Environmental technology and water quality, he is Paul Sensei, experienced and gentle martial arts and self defense teacher, Inducted into the EUSA International Black Belt Hall of Fame, and 2009 Instructor of the Year. 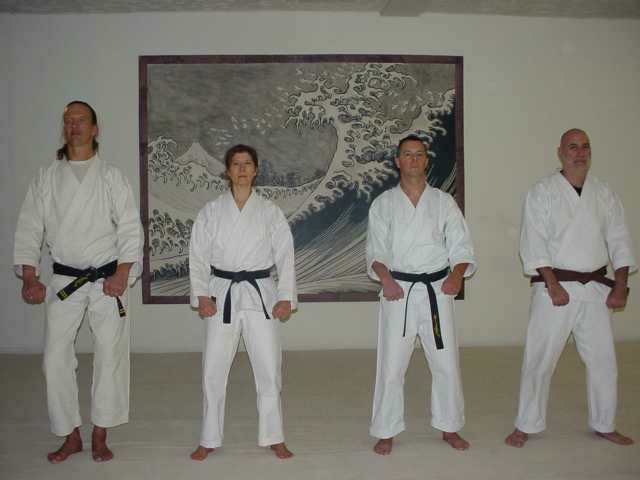 Our Dojo (School): Get back into shape or start for the first time. Self defense techniques, strength and confidence, and traditional Japanese karate with patient gentle teacher. Open to all levels. Continuing students can advance belt rank. Learn kyu and Dan katas (forms), kicks, punches, blocks, strikes, partner sparring drills, self defense. Beginner through black belt welcome. Discounted textbook available in class. Where: Formerly at 2100 Chestnut Street. Center City Phila. Entrance on 21st Street between Chestnut and Sansom, 2nd Floor. We also used to run popular classes through Temple University. Contact us to open classes for your group or location. Don't be afraid! Protect yourself, build confidence, and fend off attackers. 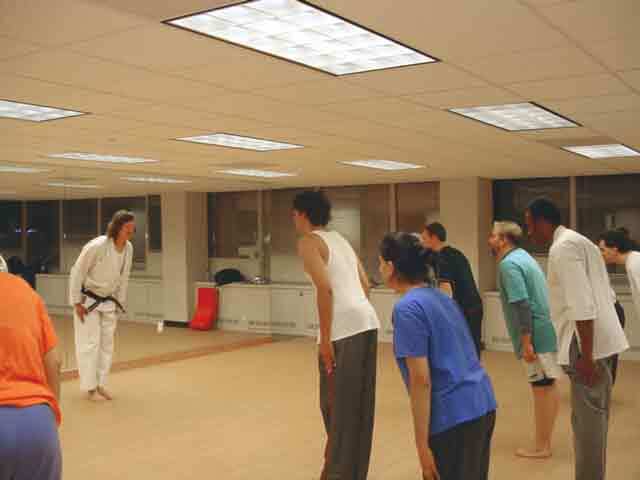 Learn armed and unarmed defenses against armed and unarmed attackers. Gentle instructor will teach you how to use hands, feet, handbags, coins, umbrellas, cell phones, and other ordinary objects against all kinds of bad situations at home and in the street. Learn legal rights and how to spot and avoid trouble. For men and women, all abilities, all ages. Wear your everyday clothing for realistic practice. Seminars at your location by special arrangement through Paul - Paul@PaulPlevakas.com (215) 778-2634. Class Textbook - Healthy Martial Arts. Discounted textbook is available in class. With Paul, certified personal trainer. Safe, gentle, effective. Click to go to learn about Personal Training With Paul. CLICK Amazon store boxes below for secure shopping for car parts, tools and building supplies, martial arts equipment, all the fun stuff. Amazon never sends us any personal details about you, so have fun shopping. Come back for your next purchases too. The pennies they send us for purchases through THESE links let us run this site. THANK YOU.